Kruis lasted just 14 minutes of Saracens’ 55-24 thrashing of Northampton at Twickenham last weekend. Saracens believe George Kruis has avoided serious injury with his latest ankle problem and expect the lock to be back at top form well before England’s autumn Tests. Kruis lasted just 14 minutes of Saracens’ 55-24 thrashing of Northampton at Twickenham on Saturday, hobbling off with an ankle issue that boss Mark McCall later admitted could prove troublesome. Ankle and knee operations disrupted Kruis’ progress last term, but the combative second row still fought back to win a place on the summer’s British and Irish Lions tour. Now the 27-year-old has received a positive outlook from ankle scans on Monday, and Saracens hope to have that news confirmed by specialists. 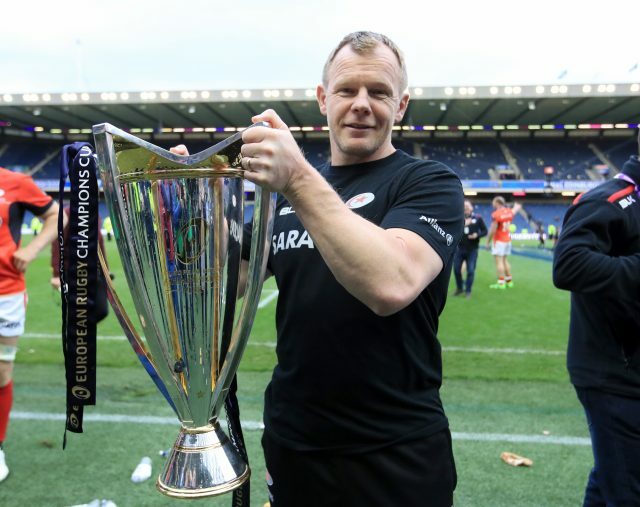 “George has had a scan and he’s going to see a consultant at the end of the week, but it doesn’t look all that serious,” said Saracens rugby director Mark McCall, expecting Kruis to avoid surgery in his latest recovery. “It’s been described to me as a ‘bad yank’ to the ankle. It doesn’t look like it’s going to be overly serious. So that’s hopefully good news, but we’ll know more after he sees the consultant. It’s going to be weeks rather than anything more. 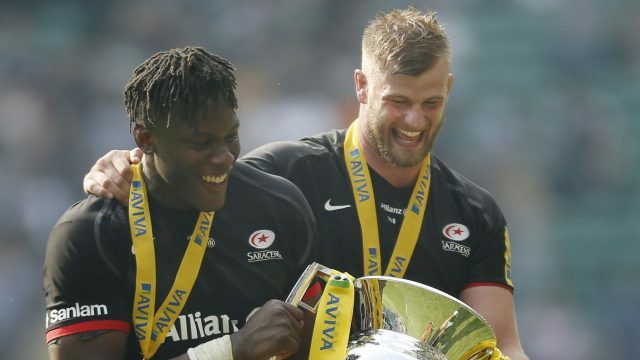 Lions duo Kruis and Maro Itoje started Saracens’ season-opener against Northampton on Saturday, with new recruits Will Skelton and Calum Clark sidelined through injury. Both Skelton and Clark are expected to miss Saturday’s Premiership trip to Bath, but McCall admitted more of Saracens’ Lions stars could return to action at the Recreation Ground. Billy Vunipola is nearing full fitness after the shoulder surgery that ruled him out of the Lions’ New Zealand trip, but McCall conceded he still has an outside chance of featuring at Bath. “Our Lions are chomping at the bit I’d say,” said McCall. “We’ll probably bring a few more back in one way or another this weekend, and maybe a couple will play the weekend after. “Billy (Vunipola) is probably touch-and-go for this weekend, and hopefully the weekend after, which is ahead of schedule. It’s probably not going to happen this weekend.